Qantas has axed its plans to offer sky-high surfing across its Airbus A380 fleet, citing a lacklustre response from travellers. Over the weekend the airline ended its nine-month trial of inflight Internet on selected A380 routes. 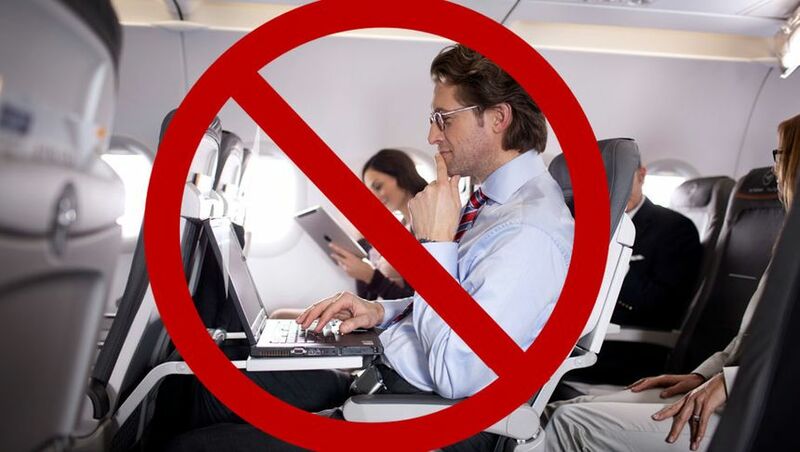 "Whilst customers who used the Wi-Fi service told us that they valued the option to connect in flight, overall the trial has demonstrated a lower than expected take-up of the service, particularly on overnight flights where sleep was their priority" explained a Qantas spokeswoman. "Given the large proportion of Qantas’ A380 services are overnight flights, at this time we’ve decided not to offer the service across our A380 fleet on a permanent basis." A statement issued to the media later today advised that "average take-up during the commercial trial was less than 5 per cent." At first slated as an eight-week trial beginning in March this year, the service saw six Airbus A380s kitted out with wifi access points and a satellite Internet connection to beam signals back to the ground. At the time of the launch, a Qantas spokesperson told Australian Business Traveller that for the first few weeks of the trial, Internet would be offered free of charge to passengers in first class and business class, before introducing a range of pay-to-surf packages to test uptake. "Initially when we launch the trial it will be free, then there will be a period with several paid packages so we can get an indication of the demand at different price points. We're working through the details of those packages at the moment, and once the trial is finished we'll be setting the cost based on that." AusBT reader and Platinum frequent flyer Andrew Hazelton, who reviewed the Qantas inflight Internet service from Sydney to Los Angeles A380, reported it was "fine for Facebook chat and allowed reasonable downloads for emails on the iPhone and laptop." With Qantas pulling the plug, this leaves Emirates and Singapore Airlines as the only carriers offering inflight Internet on flights to and from Australia. For more on this story tune into 'Business Class', Australia's national TV show for business travellers, on Sky New Business Channel (Foxtel 602) from 2.30pm today, Monday December 3rd. NOOOOOOOOOO! What idiots! Just another reason to start flying EK. As an avid user of the internet, I was on one of the flights offering the trial. I was gien some free access. The most productive? Posting to Facebook with the boast "I'm on an A380 at 38,000 feet" - and checking a couple of sports scored. I turned off the iPad and went back to sleep! In todays world of mass communication, my long haul flights are still an escape where I can indeed try to chill out little. Just for a change, I think they got the pricing wrong. Paying $40 isnt exactly an incentive to jump on the service. Would have been much better to have set a lower intro rate of $14.95 (which probably has a lower emotional barrier) to get folks used to the service and the value it could provide. Am sure kitting out an aircraft with a few WiFi units and a sattelite receiver on the roof isn't cheap, along with the loss in fuel efficiency. Then you have the data charges to the satellite. Some hotels in Australia charge $40, and this is for a land based service. I tried it once just for the novelty of it... but even though I have been on several flights since that offer it, I haven't bothered using it. It isn't the cost... It's just that it's nice to have some time without internet and it's really not the end of the world to not have it. I'm pretty sure those emails can wait for me at the other end of the flight. Yes, agree with the previous post about EK. I used EK's service to/from LHR on their A380 two weeks ago. Departing Dubai I even managed to make a Skype video call from my laptop back to home from 38,000'. 30MB of data was US$5 or 100MB cost US$15 (I needed the latter for Skype). I also recall using AA's service from LAX to JFK in 2009 which also was less expensive than QF's. QF are klutzes. Internet on internal Oz flights I would find useful. Would need to be very keenly priced though. That's the catch, RR, "domestic inflight Internet" especially on long distances (eg transcon) and "keenly priced" are mutually exclusive! Domestic would still need satellite to be reliable across the many parts of Australia without cellphone base coverage, and satellite is slow and costs mega-bucks. mmm been on a couple of flights on the A380's where the access wasn't even mentioned. Zenpuck - not every A380 was kitted out with the tech. QF selected only a couple of the planes to test the hardware out on. I think this is a mistake, the point isn't to increase revenue or make a return on investment on a standalone basis, but to be ahead of the competition. Even if Qantas provided free internet, it would have been expensive up front, but some passengers would have chosen to fly qantas rather than another airline. I don't think you can afford to not have wifi when other airlines like emirates already do. In your project analysis you have to take into account not just the project cost and revenues, but the incremental change to revenue due to changes in passenger numbers. Eventually wifi on planes will be free on a lot of planes/airlines. Qantas should lead instead of follow. Even 5 star hotel chains which have charged exorbitant amounts for internet for years is slowly starting to change. When travelling in the US, using gogo inflight internet is a definate winner. I wish i was a sales person for gogo because i can see so many benefits for Qantas travellers on Australian Domestic flights. I can understand the international trial not working as majority of the passengers have accepted it is a long flight with no contact, so the use of electronic equipment for connecting purposes isnt that common. Please Qantas, bring out inflight internet on DOMESTIC flights as a start! Oh wait - when Telstra cannot get 100% coverage of 3G across mainlaind Australia due to economic and physical restrictions, given the volume of traffic they expect to get - do you think a ground based in-flight wifi service can be deployed in this country at an economic model that the narrow band of users would actually pay for, for that company to make use of? We could deploy this to Qantas Doemstic and .. err Virgin Domestic. The US has Gogo working with no less than 9 airlines. Economies of scale would currently prevent Gogo working right now. Sattelite based data connections are still horrendously expensive to deploy and manage - and data charges obviously will be too. "I wish i was a sales person for gogo because i can see so many benefits for Qantas travellers on Australian Domestic flights." CharlieG, you might find that job tougher than you think. What everybody is missing here is that Australia can't support a Gogo-style domestic inflight system because this relies on having enough mobile base stations all over the country, and we don't have that infrastructure. If it was that easy to do, don't you think Qantas or Virgin would have done it by now? From what I saw in Biz between SYD and JFK it was a somewhat complicated procedure to actually get connected, and the cost is a definate turn-off too. You also had to pay again if you wanted connection between LAX and JFK too. This is really disappointing. As a few people have pointed out below, it's not about the uptake/initial learnings but the need to actually be slightly innovative (even then they're already months/years behind). Even though I agree with flying being the last bastion of 'unconnectivity' it's just like those people that complain about TV shows, or radio shows they don't agree with..just don't watch/listen..or in this case..connect! At least give people the choice though.. Disappointing. I wonder if Qantas did any kind of survey to determine how much passengers were willing to pay for such a service. If they did, I doubt more than that 5% would have said they would pay as much as $40 in which case, Qantas could have saved themselves the trouble. Whilst I can live without Internet during the flight, it would be very handy at times for things more important than just chatting on Facebook. When selecting hotels, I immediately rule out any that charge for Internet. Might have to do the same when selecting airlines in future. Comment on "Qantas scrubs plans for inflight Internet"